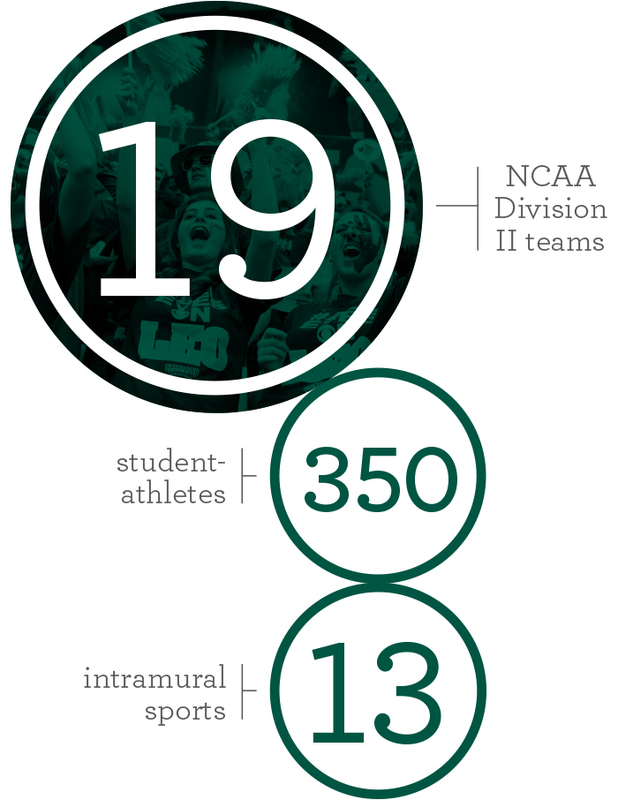 Our student-athletes remain dedicated and hardworking, both in the classroom and on the playing field. At Saint Leo University, a member of the Sunshine State Conference, 350 student-athletes compete in 19 NCAA Division II sports. They are talented and competitive, having earned multiple conference and tournament championships, as well as national NCAA appearances. Students also enjoy a variety of recreational and intramural sports. Your gift to Athletic Excellence ensures that student-athletes have the equipment, facilities, and funds to excel. The volleyball team is forceful, fast, and fierce. The Saint Leo swimming program is consistently nationally ranked. Our lacrosse teams offer high-level play against tough competitors. Our soccer program boasts multiple conference and tournament championships. Lions baseball consistently produces players who are drafted into the major leagues. No-hitters, stolen bases, and double plays—all in a day’s work for Lions softball. Our men's and women's basketball teams thrill fans with action-packed games. Individually and as a group, our golf teams have been nationally recognized. Runners in Saint Leo’s cross country and track teams have been a force in the Sunshine State Conference. Positioned in one of the toughest conferences in the nation, our tennis programs prove to be competitive at the highest level. Help your Lions excel by making your gift today.